Angler Lawn & Landscape services homes in the Fort Lauderdale (33305), Coral Ridge (33306 and 33308) and Wilton Manors (33334) areas. Browse our Residential Gallery for examples of landscaping work we have provided for homeowners in the area. For more inspiration, visit us on Houzz! Visit our Services page for a full list of services! 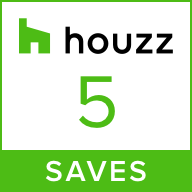 For more inspiration, visit us on Houzz!